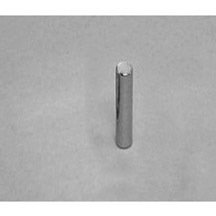 The SMCN0255 CYLINDER neodymium magnet is made from high performance N42 NdFeB, with Nickel coating. The dimension of this item is 1/16″ dia. × 1/4″ thick, magnetized Through Thickness, with tolerance of ±0.004″ × ±0.004″. The weight of this super strong neodymium magnet is 0.000208125 lbs. It can pull up to 0.15 lbs steel. 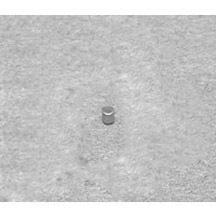 And the surface field is up to 6549 gauss.SMCN0255 Neodymium CYLINDER Magnet Safety TipsThe smcn0255 neodymium cylinder magnet is so small that Children could swallow it easily. If several magnets are swallowed, they could get stuck in the intestine and cause perilous complications.Magnets are not toys. 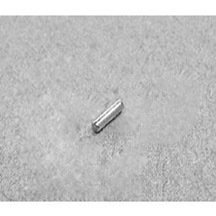 Make sure that children do not play with the smcn0255 neodymium cylinder magnet.The smcn0255 neodymium cylinder magnet could also be used as like push pins and fridge magnets. keep track of all rare earth magnets in a home, not just those located in toys. Max Operating Temp(C/F): 80/176 The SMCN0255 CYLINDER neodymium magnet is made from high performance N42 NdFeB, with Nickel coating. The dimension of this item is 1/16″ dia. ± 1/4″ thick, magnetized Through Thickness, with tolerance of ±0.004″ ± ±0.004″. The weight of this super strong neodymium magnet is 0.000208125 lbs. It can pull up to 0.15 lbs steel. And the surface field is up to 6549 gauss. The smcn0255 neodymium cylinder magnet is so small that Children could swallow it easily. If several magnets are swallowed, they could get stuck in the intestine and cause perilous complications. Magnets are not toys. 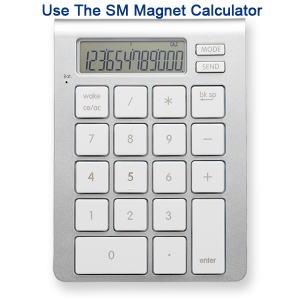 Make sure that children do not play with the smcn0255 neodymium cylinder magnet. 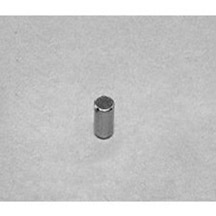 The smcn0255 neodymium cylinder magnet could also be used as like push pins and fridge magnets. keep track of all rare earth magnets in a home, not just those located in toys.